This three-frame Art Vivid in-camera HDR image of two adult King Penguins standing above a plain of young oakum boys was created at St. Andrews Bay with the tripod mounted Canon 24-105mm f/4L IS EF USM AF Lens (hand held at 84mm) and the Canon EOS 5D Mark III Digital Camera (Body Only) w/FREE Bonus Items – $160.75 Value! [expires 11/24]!. ISO 400. Evaluative metering +1/3 stop: 1/125 sec. at f/16 in Manual mode. I thank the two penguins in the foreground for remaining stock-still during the exposure. Though the views from the ridge at St. Andrews Bay were not as spectacular as they are in January when the colony is filled with hundreds of thousands of adults, it was still very impressive. Most who were on the October trip expressed a desire to return three months later. When even the remotest possibility of doing some serious land-scape or bird-scape work with a short lens exists, I make sure to have a Wimberley P-5 plate and my Giottos MH 1302-655 Ballhead in my vest. It takes less than two minutes to mount the plate on the camera body, spin off the Mongoose M3.6, and replace it with the tiny ballhead. Denise Ippolito and I just got back from a killer Cheesemans’ Ecology Safari Southern Oceans Expedition to South Georgia and the Falkland Islands. There were about 70 participants in all, 16 of those folks signed up under the auspices of BIRDS AS ART. In addition there were other BAA friends aboard. Special thanks to all who had faith in me: (Rusty-)Chuck & Nancy Bell, Soren & Vibeke Breiting of Denmark, Bill Fraser, Aravind Krishnaswamy, Bob and Hanno Lewis, Alan & Pat Lillich (please say a prayer or send some extra love, strength and energy to Pat who is undergoing surgery today), Christopher Marsham of the UK, Paul Mckenzie of Hong Kong, Joshua Ong, Clemens van der Werf, and Michael and Lyndsey VIljoen of South Africa. In addition, I made many new photograph friends. As you can see, folks from all over the world travel with Cheesemans’ Ecology Safaris. After a nearly 3-day navigation from Port Stanley in the Falklands to the island of South Georgia, we made about 15 landings (or zodiac cruises) over the course of 10 days. These included full days at the two spectacular King Penguin colonies at St. Andrews Bay and Salisbury Plain. In addition, we completed the rare circumnavigation of South Georgia. Having done really well there with both weather and opportunities we left a day early to spend another 3 days at sea en route to the Falklands. We wound up having to leave there a day early to get the ship to Ushuaia ahead of an approaching storm. But the extra day off was appreciated by most folks as the action in the Falklands was spectacular and the days and the hikes had been long, challenging, and exhausting. We hiked about 7 miles on the first landing at Sea Lion Island on the first Falklands day. It drizzled a bit on us at Steeple Jason but many folks including me stayed out until 4pm. And our last landings at New Island were fabulous. Canon EOS 5D Mark III Digital Camera (Body Only) w/FREE Bonus Items – $160.75 Value! [expires 11/24]!. ISO 400. Evaluative metering +1/3 stop: 1/1600 sec. at f/9 in Manual mode. Left of center sensor/AI Servo Surround/Rear Focus AF active at the moment of exposure. Click here if you missed the Rear Focus Tutorial. Click on the image for a larger version. Then it was 2 more days at sea to get back to Ushuaia to catch our Saturday morning flights home. I got back to Indian Lake Estates at about 2pm on Sunday and Denise arrived at her home in Brielle, NJ at about 6pm. She was glad to learn that her home did not suffer any damage at all from Hurricane Sandy (though there was tremendous devastation nearby). Kudos to expedition leader Ted Cheeseman for putting together the great itinerary and pulling it off. He made several major changes due to sea conditions and all were spot on. The Cheesemans’ staff greatest skill is in getting folks safely in and out of the zodiacs and onto shore even in condition where most other tour companies would call it a day. In addition all were knowledgeable and helpful, and trust me, at 66 I appreciated their help. This image of a Northern Royal Albatross was created from the ship as we sailed from South Georgia to the Falklands with the hand held Canon EF 300mm f/2.8L IS II USM Telephoto Lens, the Canon 2x EF Extender III (Teleconverter), and the Canon EOS 5D Mark III Digital Camera (Body Only) w/FREE Bonus Items – $160.75 Value! [expires 11/24]!. ISO 800. Evaluative metering +2 stops off the sky: 1/4000 sec. at f/5.6 in Manual mode. Central sensor/AI Servo Surround/Rear Focus AF active at the moment of exposure. Click here if you missed the Rear Focus Tutorial. Click on the image for a larger version. I used the 300 II with the 1.4X III and the 5D III for most of the photography from the boat but for whatever reason the giant albatross species, Southern and Northern Royal and Wandering) stayed far back while following the boat so I went to the 2X III TC in an effort to get more pixels on the bird. This is a crop from a horizontal capture. CES staffers Joe Kaplan (auctioneer supreme) and Dave Shoch kindly helped me with the seabird IDs when they were not on the bridge helping others while spotting the rarer seabirds and a variety of marine mammals. As you can see above, most days at sea provided some excellent opportunities for photographing seabirds from the Ushuaia, the ice-worthy vessel that was our home for three weeks. This one was created on a very rough afternoon…. To see lots of great King Penguin images from the trip click here and here. To see a wonderful collection of Denise’s images (including her killer head and neck portrait of the rare Grey-headed Albatross), click here. To see a killer collection of Clemens van der Werf’s images, many executed in the BIRDS AS ART style, click here and give the two South Georgia portfolios a minute or two to load. This image of a groups of molting adult King Penguins and snow-covered hillsides was created at Right Whale Bay, South Georgia with the tripod-mounted Canon EF 70-200mm f/2.8L IS II USM Telephoto Zoom Lens (at 190mm) and the Canon EOS 5D Mark III Digital Camera (Body Only) w/FREE Bonus Items – $160.75 Value! [expires 11/24]!. ISO 400. Evaluative metering +1 2/3 stops: 1/400 sec. at f/7.1 in Av mode. Central sensor/AI Servo/Rear Focus AF and re-compose. Click here if you missed the Rear Focus Tutorial. Click on the image to see the spectacular larger version. I visualized this image as soon as I got off the zodiac but had to wait a while until several other trip participants were out of the scene. We had so much fun at Right Whale Bay that Ted arranged for us to make this landing again right before departing for the Falklands. With the wreck of my EOS-1D X (see “Wrecked. And Loving It” for complete details), I went to my 5D Mark III as my workhorse camera body. It performed flawlessly surviving some heavy drizzle, sand, grit, and extensive use. I used it almost exclusively for seabird flight photography from the ship. As I have said from the get-go, the 5D Mark III’s new AF system is superb. You can learn everything about it including my custom case for flight photography, my favorite AF Area Selection Modes, how I use the great HDR and Multiple Exposure Features, and pretty much everything that I know about this great lightweight camera here. I will be updating the guide in January. All updates are free. For the past ten years or so I have hosted a midday Thanksgiving Day meal, in part to honor the memory of my late-wife, Elaine Belsky Morris, and in part because I love meeting others who love Bosque as I do. At first it was held at the wonderful and relatively elegant Val Verde Steak House in Socorro, now defunct. Then it was held at the lovely and historic Luna Mansion. Luna Mansion closed a few years ago and recently re-opened but no longer serves Thanksgiving Day. In 2009 we had fun and a fine meal at the Stage Door Grill but that wonderful little joint recently bit the dust also. Socorro is a tough place for businesses to survive. In 2010 we went a bit upscale and dined in the New Mexico Ballroom at the Hilton Albuquerque hotel. There was tons of food and it was all delicious. The Hilton is now a Crowne Plaza and the good news is that they are having the buffet again this year as they did in 2011. I will be picking up the tab for the IPT group, but as always, all visiting birders and photographers are invited to join us. If you would like to take part in the fun and camaraderie this year please send a check for $45.00 per person made out to ”Arthur Morris” to cover the cost of the buffet that will include all the traditional items plus lots more as well as tax and tip. Drinks are on you. Please mark “Thanksgiving Buffet” on your check and mail it to; BIRDS AS ART, PO Box 4041, Indian Lake Estates, FL 33855. Be sure to include your e-mail address on your check and in a short note. Sorry, no PayPals or credit cards for this. I do hope that you can join us. Are IPTs expensive? Of course they are. For good reason. The most experienced, knowledgeable, and hardest working leaders. Great Photoshop instruction. Great folks. And great food. For a greater appreciation of the composite image, click on the photo. Click on the enlarged version to close it. With four openings on this IPT and me headed out of town till 11/11 we are glad to announce a healthy late registration discount for this great IPT. Please call Jim weekdays from 9-5 eastern time at 863-692-0906 for details and leave a message if he is at the post office. Nobody alive or dead knows Bosque better than I do. Do consider joining us for the educational experience of a lifetime. For a greater appreciation of the composite image, click on the photo. Click on the enlarged version to close it. BOSQUE del APACHE 2012 IPT: “The Complete Bosque Experience.” NOV 21-27, 2012. 7-FULL DAYS: $3399. Co-leaders: Denise Ippolito, landscape photography expert Jim Heupel, and Photoshop expert Mike Hannisian. Introductory Slide program: 6:30 pm on 11/20. Limit: 12/Openings 4. Tens of thousand of Snow Geese, 10,000 Sandhill Cranes, ducks including point-blank American Wigeon and Wood Duck, amazing sunrises, sunsets, and blast-offs. Live, eat, and breathe photography with one of (if not the) world’s premier photographic educators at one of his very favorite locations on the planet. Top-notch Photoshop instruction. This will make 18 consecutive Novembers at Bosque for me. Nobody knows the place better than I do. Join us to learn to think like a pro, to recognize situations and to anticipate them based on the weather, especially the light and the wind direction. Every time we make a move we will let you know why. When you head home applying what you learned will prove to be invaluable. 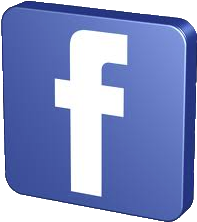 Visit Bosque on Facebook here and bookmark the page. It’s a great way to keep up on current events and refuge conditions. Pixology magazine, an e-Magazine written and produced by Photoshop guru Tim Grey, debuted this past August. Tim kindly sent me the last three issues for review. Ruined my night. I had planned to get some work done before hitting the sack but I became engrossed in each issue…. Educational, amazingly thorough, interesting, and revealing are a few words that come to mind. Tim has a knack for taking a simple subject that you think you know everything about–the Spot Healing Brush (Cleanup in a Pinch/OCT 2012) or Levels (Levels in Detail/SEPT 2012) for example, and creating a 5 or 10 page treatise that really opens your eyes. Travel and gear pieces, articles on Photoshop 6, Lightroom, NIK stuff, and Elements 11 tips and issues, and interviews with top pros are all written in Tim’s pleasant, easy-to-read, easy-to understand style with a good sprinkling of his wry sense of humor sprinkled throughout; in the November issue Tim interviews himself and does a great job of it. You can subscribe today by clicking here or on the logo-link above. Canon EOS 5D Mark III Digital Camera (Body Only) w/FREE Bonus Items – $160.75 Value! [expires 11/24]!. ISO 400. Evaluative metering +1/3 stop: 1/1250 sec. at f/4 in Manual mode. Left, slightly above center sensor/AI Servo Surround/Rear Focus AF active at the moment of exposure. Click here if you missed the Rear Focus Tutorial. Click on the image for a larger version. After I destroyed my 500mm f/4L IS II/EOS-1D X combo–see the “Wrecked. And Loving It” blog post–the 300 f/2.8L IS II/EOS-5D Mark III combo provided a fabulous back-up rig. I got lucky here as I kept underexposing this image but the bird held its pose for more than a minute until I got it right. In retrospect, I should have been at 1/320 sec. at f/8. Leave a comment if you think that you know why. Denise Ippolito is offering a Canon EOS-1D Mark III in very good condition for $1200.00 and a Canon EOS-5D Full Frame Sensor 12 mp Digital SLR Camera in excellent condition for $800.00. Please contact Denise via e-mail. Canon 70-200 f4L IS lens (price reduced!) in excellent condition includes pouch and original Canon box: $899 buyer pays shipping. Please contact Steve on his cell at 661-305-0307 or via e-mail. Note: I used this sharp, lightweight lens for about two years and loved it. Multiple IPT-veteran and all around nice guy Sheldon Goldstein is offering the following Canon lenses for sale; each of them has recently been checked and cleaned by Canon Jamesburg. Wire transfers preferred or wait until your check clears. All sales include shipping and insurance. Canon 500mm f/4L IS lens in excellent condition with LensCoat, the RRS LCF-50 Arca style replacement foot, the original foot with all the screws, and all the original stuff including the lens trunk and leather hood. This one is an absolute steal at $6899. It will likely sell in minutes as we have sold others recently with less extras for more. Contact Shelly by phone at 1-646-423-0392 or via e-mail. Canon EOS 5D Full Frame Sensor 12 mp Digital SLR Camera in excellent condition for $750.00 (mirror recently replaced by Canon). Buyer pays shipping. Please contact Cindy via e-mail. Having at least a 500mm f/4 lens with a 1.4X teleconverter is recommended. Participants should be in good physical condition with a good sense of balance. Payment in full is due now. 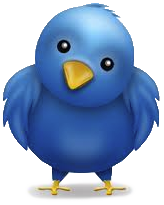 Please click here and then scroll down and read our cancellation policies. Then please print, read, and sign the necessary paperwork here and send it to us with your check. Wow! We have put together a killer collection of door prizes for the NYC Seminar. If you live in the northeast and are not yet registered click here to join us and have a chance at winning some of the great and valuable loot below. From ThinkTank: an Airport AirStream™ Rolling Camera Bag; meets all International carry- on regulations. A $324.75 value. From LensCoat: a Standard LensCoat® RainCoat. A $79.99 value. Manfrotto/Gitzo will be contributing one or more items. 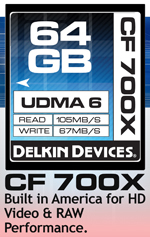 From Delkin: a 32 gb 700X Compact Flash Card plus give-aways. The card is a $134.99 value. NIK has sent a gift certificate for one copy of NIK Color Efex Pro, the Photoshop filter plug-in that has changed my digital workflow. Enter the code BAA at checkout to save 15%. Topaz is sending a gift certificate for their black and white effects filter program. Micheal Tapes at RAW Workflow has chipped in with a Lens Align Mark II. A $79.95 value. 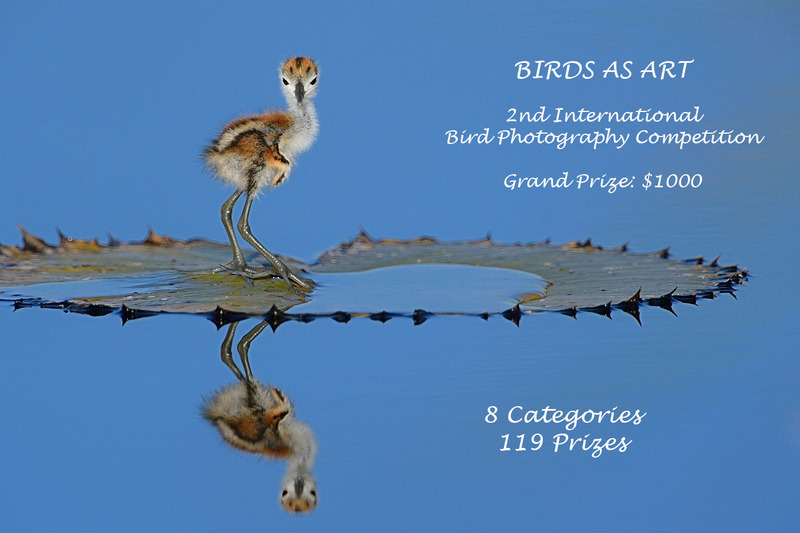 You might also win a copy of The Art of Bird Photography II by Arthur Morris or a copy of A Guide to Pleasing Blurs by Arthur Morris and Denise Ipplito. Thanks a stack to all of our generous sponsors. We are looking for single female roommates for both the Galapagos July 2013 trip and the September 2013 Bear Boat/Bears Catching Salmon IPT. See below for details on these two great trips. Please e-mail for additional info and discount info. Gizo GT3532 LS CF Tripod. This one replaces the GT3530LS Tripod and will last you a lifetime. Learn more about this great tripod here. 320/f8 – depth of field? All of the bill and nesting material would have been in focus. Would like to take this opportunity to say how much I’ve learned from your two Art of Bird Photography guides and the 5D3 guide – am a bird photography beginner and still “only” using Canon’s 100-400, but am having a wonderful time. Thanks for sharing your knowledge and experience! Hi Artie, The Bosque photos are fantastic! I cannot make it this year, but I definitely want to come again next year. It was the best time ever…..
Have a great time, and HAPPY THANKSGIVING. Also, the Royal Albatross composition is EXQUISITE. You are the very best at composing single subjects with nothing else. PERFECT! I think the King Cormorant must be the most handsome bird I’ve seen lately. WOW!! Love the eye – no catchlight – but very beautiful. Can’t wait to read the whole bulletin!! !